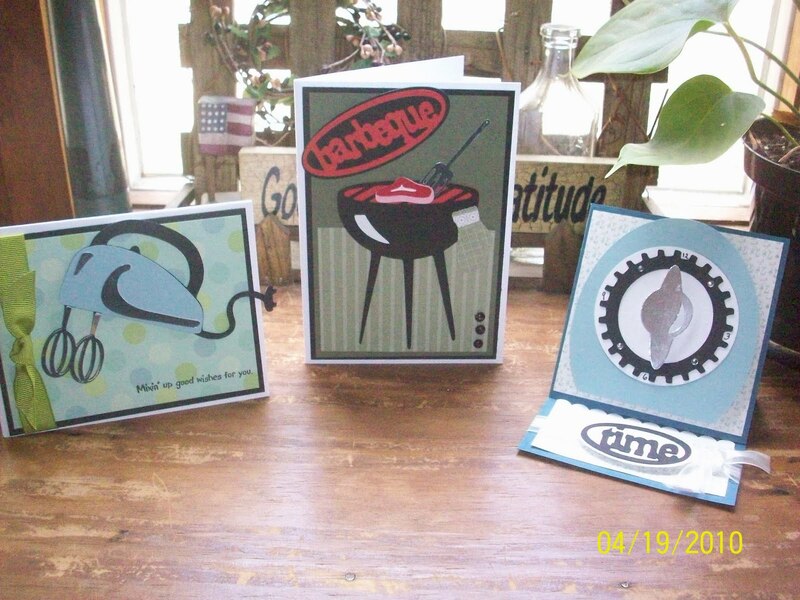 Here's a few cards made with "From My Kitchen" Cricut cartridge. The "timer" card says "It's TIME to wish you Happy Birthday" inside. I haven't seen any of these cards yet, Barb. My birthday is in July, you know ;) Hey, just read Liz's comment, you should add her to your watch list. Got distracted and failed to say, these cards are wonderful! 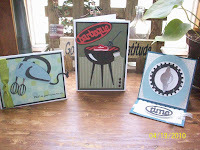 Every time you show cards, I find myself wishing I knew how to make such nice cards. I even have some stamps but don't really know how to use them right....never know how to color them, etc. *sigh* Your cards are great...as usual!!! Adorable cards! I love the mixer!